I say this fairly often, I’m afraid. I believe that the people who have the most success with changing the way their voice sounds are the ones who change the way their voice sounds all the time. People with a strong sense of play, who are willing to make noises, to do impressions, to sing publicly, to be audaciously outrageous, these are the people who have a sense of confidence, who are willing to take a risk, who ultimately develop the skills necessary to aural/oral acrobats of the mouth. 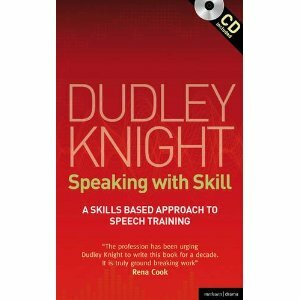 In his new book, Speaking with Skill, Dudley Knight describes a process he calls vocal gurning, where students move their faces around slowly to make funny faces, and then copy that process with their sound making abilities, sounding while gurning with their articulators and the rest of their vocal tracts. This is masterful F***ing around with the Voice. In the book The Complete Voice and Speech Workout Book and CD, I described an exercise about vowel sliding and gliding. This is the same principle I describe in my post Riding the Wave of the Tongue and Riding the Wave of the Tongue Part II. But play can happen anywhere and at any time. When I listen to the radio and I hear an accent that is unfamiliar to me, I make a point of at least mouthing the sounds I hear that seem interesting and new to me; if I’m alone in the car, I do it aloud, for sure. 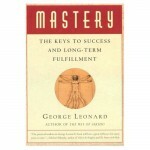 I’m constantly experimenting with my ability to make sounds in ways that are new to me, and ways that I’m familiar with—this is my practice, my daily work to maintain my level of Mastery, as described by George Leonard in his great, highly recommended, book. There are as many ways to play with your voice as there are people. I encourage all my students, and all my readers to mess around with your voice at every opportunity you get; I assure you that it will take you further than you ever imagined.